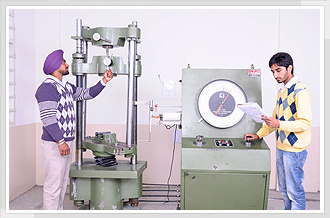 Basically diploma holders in Mechanical engineering are imparted training to work in industry as supervisor of production shops which includes supervision of worker working on the machines. Repair and maintenance of machine parts. Design of components/ parts/ jigs / fixtures. To do fault diagnosis, repairing small electrical gadgets/domestic appliances making joints and carrying out wiring work. Erection, installation, calibration and testing of equipment . Supervising production and maintenance of refrigeration and air conditioning systems.